The creation of Operation Sagip (formerly Sagip Kapamilya) in 2004 came as a response to successive natural disasters. 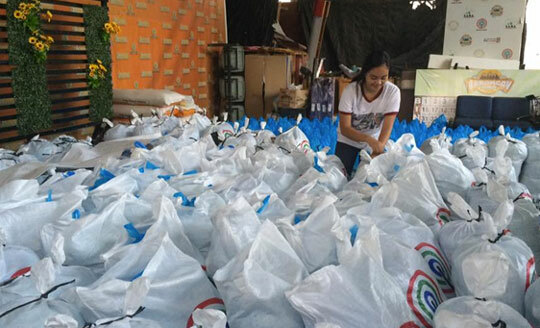 Immediate relief operation and rehabilitation assistance were provided in order to restore the dignity and rekindle the hope of those affected by calamities and man-made disasters. Through the years, the program has lived up to its mission by providing immediate, appropriate and timely assistance during emergencies. A total of 38,500 families and approximately 192,500 individuals have received aid from the foundation through various relief operations. Aside from relief operations, Operation Sagip embarks on rehabilitation projects to help rebuild and improve the lives of affected families. This includes building better schools, creating nutrition programs for children, providing shelter, and giving access to safe drinking water. Gearing up for giving a more systematic service for Filipino community, Operation Sagip plans to build partnerships that would help expand its reach. Capacity enhancements for communities and partner organizations are necessary to create a more efficient system to time-sensitive initiatives such as relief operation.